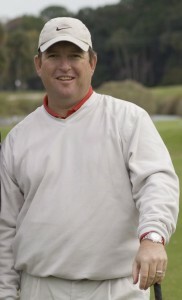 With a coaching career that spans nearly 25 years, Gary Gilchrist is considered the leading instructor for junior golf. After running two of the top junior golf academies in the world – IMG’s David Leadbetter Junior Golf Academy and International Junior Golf Academy in Hilton Head, S.C. – the former South African touring professional now has his own namesake academy near Orlando at Mission Inn Resort. Gilchrist also has a new book credit to his name as the co-author of “Going for the Green – Prepare Your Body, Mind, and Swing for Winning Golf.” The recently published book, also written by golf fitness trainer Susan Hill and noted mental training expert Jeff Troesch, was released in 2009 by Sterling Publishing Co., and is available at major bookstores. Whether you are one of many casual golf fans who are simply curious about why the best players in the world rose to the top while others have not, or a serious competitor of the game, this book was written to provide a unique insider’s look at the world of top-level golf training. My experience in teaching some of the world’s best golfers began with my position as the Director of Instruction for the David Leadbetter Junior Golf Academy in Bradenton, Florida. I was trained as a technical teacher but quickly realized that to develop golfers to the next level, they needed to master more than just technique—they needed a comprehensive training program that incorporated every aspect of being a champion. I also realized that I needed to be a “coach” and not just an instructor, and this was very unique to golf instruction at the time. Learning from other sports like tennis, I developed a golf training system that combined the three most important areas of the game: technical skill, physical fitness, and mental conditioning. The academy quickly became the leader in junior golf training, and I fulfilled my dream of taking young players from one level to the next and seeing them mature to the top of their field. I have worked and supported the careers of many of today’s top golfers, including Paula Creamer, Michelle Wie, Julieta Granada, Peter Hedblom, Sean O’Hair, Nicole Perrot, Suzann Pettersen, and Candy Hannaman. These players have all used this system to maintain a high level of performance in golf. The purpose of the training program is to accelerate development and prepare the golfer to peak at the right time. Winning comes from taking the golfer through high- and low-intensity training while challenging them to mentally focus and concentrate on completing the task at hand. I am a strong believer in giving my students a program versus a lesson. Prepare to Win means to think, practice, and prepare with a purpose. This will give you the confidence you need to reach your full potential and achieve your goals. The success of this program speaks for itself and will help golfers of all levels. I have watched this system positively impact recreational, junior, amateur, college, and professional golfers by giving them the tools they need to perform at the highest levels. Prepare to Win takes average golfers through the various training phases step by step, starting with the basics and working up to more advanced drills and exercises. For the first time, the average golfer will be offered complete access to information the pros use to raise and maintain their performance. We have broken down some of the most complex training regimens into an easy-to-follow program. The key concept in the book is ‘periodization,’ which refers to a rotating cycle of optimal training plans that coincides with a player’s performance goals. Tiger Woods was one of the first golfers to use periodization to map out his season schedule with the goal of reaching his peak performance during major championships. Periodization is now being taught to competitive players at all levels and is especially popular in the collegiate and junior ranks. While many of these players hope to earn fame and fortune on the professional tours, recreational golfers with more modest improvement standards can use the same training approach to reach their goals. My experience says it is just as effective for those with a high handicap as it is for those with a low handicap. Of course, the real improvement any golfer experiences will be reflected in each player’s personal performance goals, level of discipline, and commitment to the improvement process.